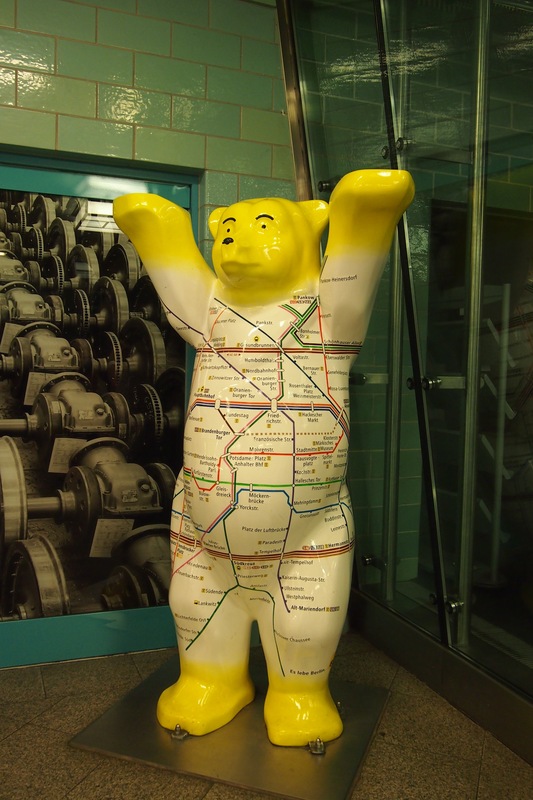 U-Bahn Buddy Bear, his map tells you where to go. Ah Berlin! What can I say about Berlin? Berlin was, and still is, an enigma to me but I sure had a great time there. Starting with bears, ending with antiquities and everything in between captured my attention. 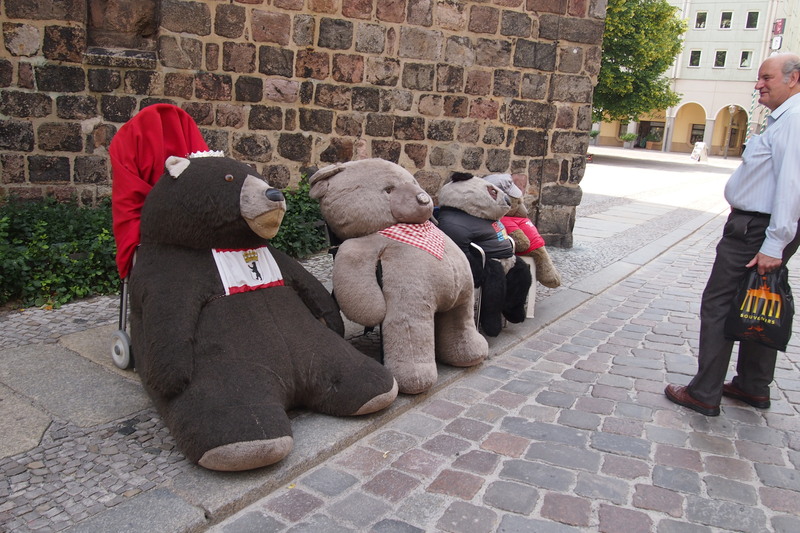 The unknown reason for the bear as Berlin’s heraldic animal adds to the mystery of this city. It is no longer known why the bear was chosen, there are many myths, but it did spawn a wonderful street art idea of Buddy bears and now you can find them everywhere, look for the bears, they lead you to all sorts of discoveries and put a smile on your face. 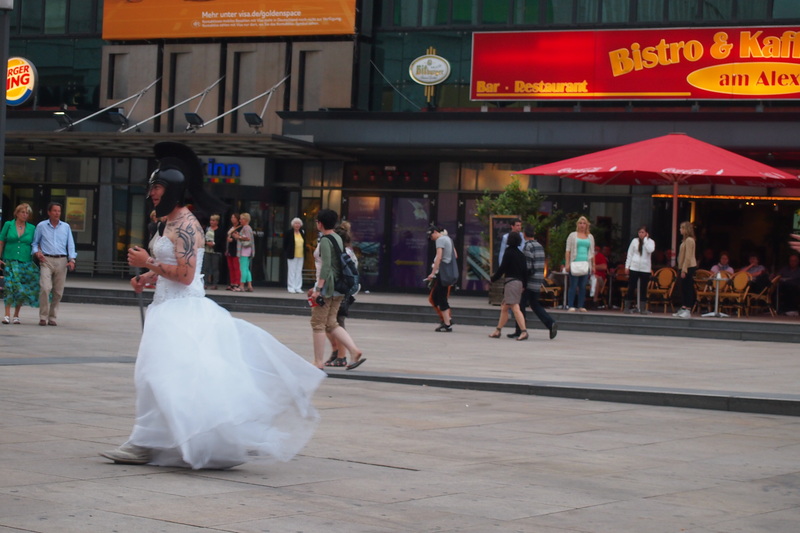 Berlin, city of contradictions and variety. 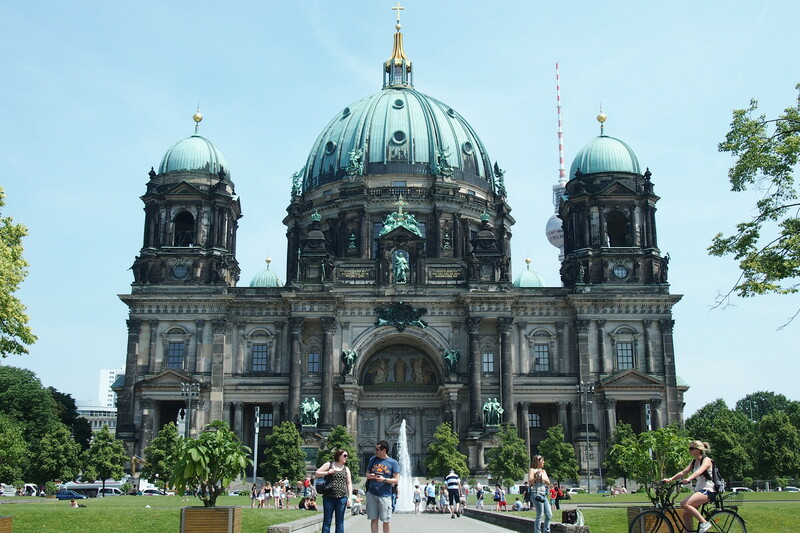 So many of my friends raved about loving Berlin when they read that I was there, but it was difficult to pin down their reasons. Luckily one friend sent a list of places that were meaningful to him so that helped to focus my attention and start getting a ‘feel’ for the city. With that I embarked on my 10 day adventure on Friday 14th of June 2013. So I once again ask you to settle back, grab a lager or a curry wurst, relax and join me. The first weekend was taken up with making friends with dorm mates and charging around Berlin on trains and trams tracking down the few places we each wanted to experience first. There was dinner in trendy Friedrichshain on the eastern side on Friday night, it took several trams to get there (mainly because we got lost a lot) and a lot of searching for typical German food without any luck so settled for Asian. Saturday morning was allocated for coffee exploration. 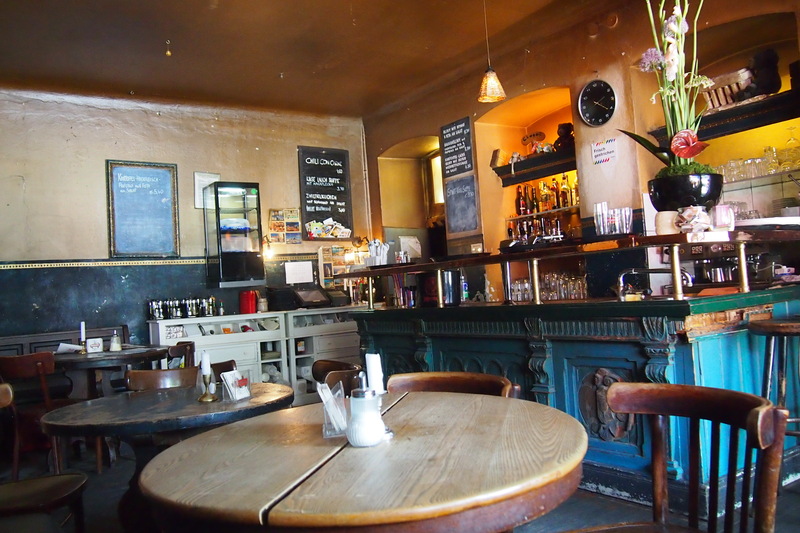 A quick search online brought up a place listed in the top 10 cafes in Berlin. West Berlin this time on 2 trains followed by a long walk finally arriving at Bonanza Coffee Heroes – hard to find but oh so worth it! look for them on Oderberger Strasse. 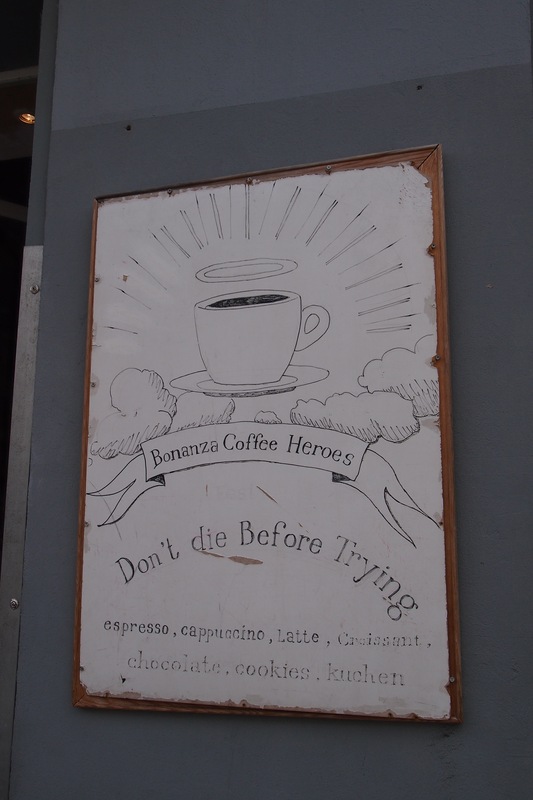 Bonanza Coffee Heroes, a challenge to find but oh, so worth it. Saturday night we were joined by a young hitch hiking Aussie who had hitched from Italy. 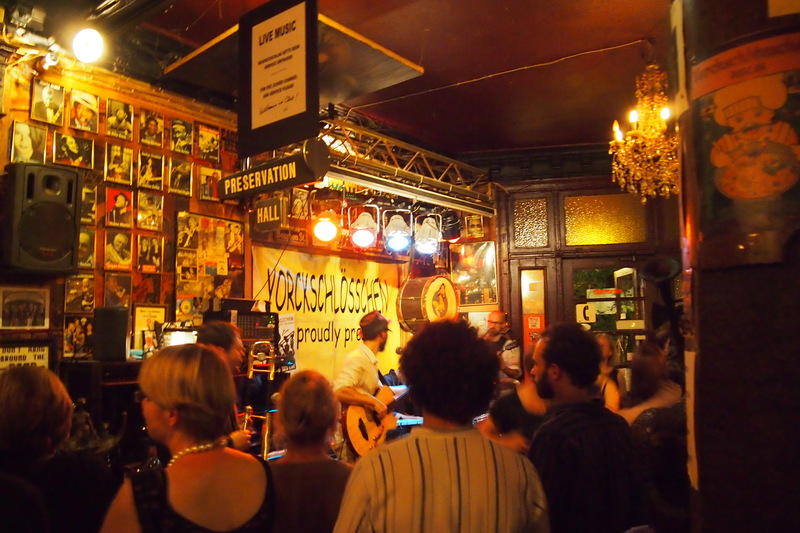 Even though we had many discussions on how to get to our destination it took 4 U trains and a long walk to get to the Yorckschloesschen jazz and blues bar. High adventure on the railway when we didn’t get off at what turned out to be the last station to change trains and ended up sitting at the end of the line in a tunnel for a little while till the train went back again. The guard who knocked on the window at the end of the line in the tunnel had the ‘oh, no, more crazy tourists’ look on his face as he motioned for us to stay there and wait. The jazz bar was rocking by the time we got there at 11pm. We ended up sitting outside for several reasons, it was really loud inside and there was no sitting room left. The backpackers were all broke so didn’t want to pay the 6 Euro cover charge. However, it was just as nice outside and we could talk, eat and still hear the music. I can recommend this place for a great evenings entertainment, just get there early if you want a seat inside. The awesome jazz bar, a rocking place for a night out. At 1am we were on the move again this time in search of underground bars. We never did find one, after all you don’t just find those places, you have to know where they are, I’ve been told you should ask a taxi driver, they know. We found some Goth looking place, but there were only 3 or 4 other people there, one drink and we moved on. The next bar was equally as boring. By 3am I gave up and caught a cab home leaving the young ones to continue their search. 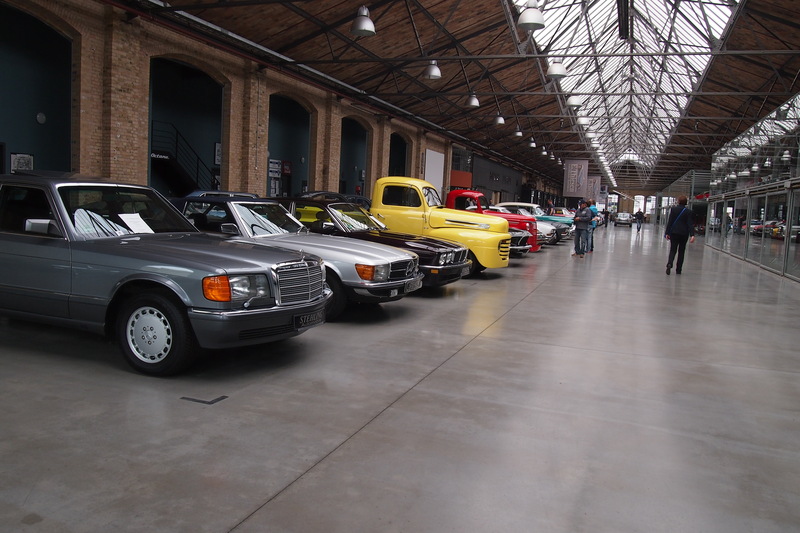 One of the massive floor spaces in the Classic Remise. 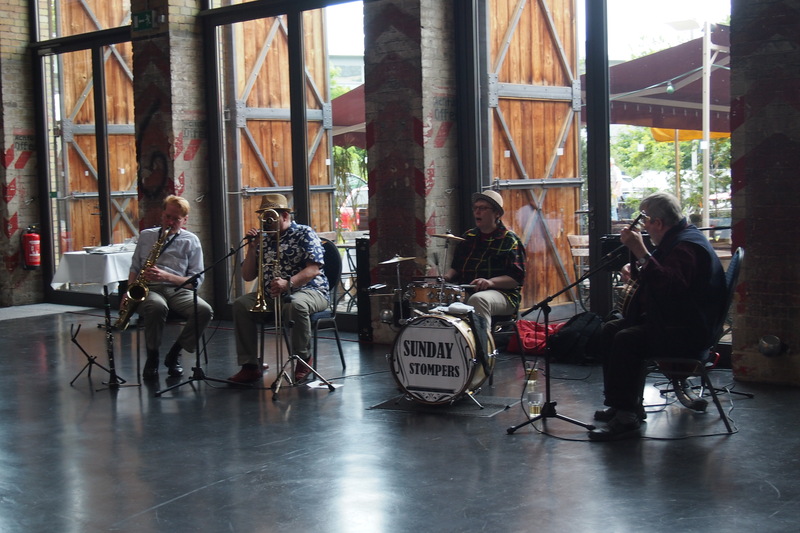 Foot stomping brunch entertainment from the Sunday Stompers. Impressions and advice from my first weekend. Research! 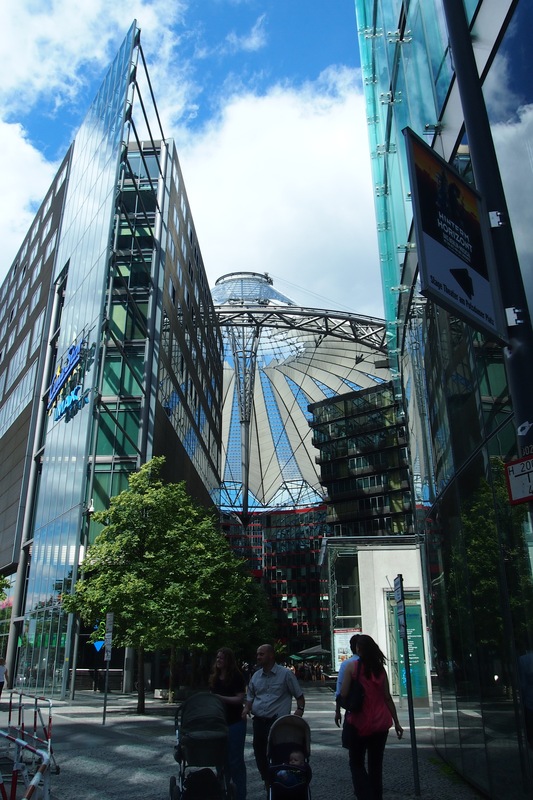 Originally I was going to Berlin with a friend who had lived there, unfortunately she couldn’t make it so I went solo. I didn’t think to do proper research and so didn’t realise what it would take to see Berlin. If it is your first visit this is one place where I recommend you do proper research and talk to people who have been there. Berlin was very different to any other place I had so far been, very relaxed about some things that would never be allowed at home like the drinking on the trains. Trains run 24/7 so the party people travel cheaply and they all take their roadies with them, seems the parties just carry on in the trains as people travel from one lot of entertainment to the next. At 1am on Saturday night it was like peak hour with booze in the U train. At other times there are very strict rules eg don’t be on the train with the wrong ticket, especially from the airport! Our young hitchhiking Aussie was fined 40 Euros for having the wrong sector ticket, an expensive exercise. It was time to put the list of interesting places received from my friend back home to use. What better way to find everything than to do what was becoming my favourite way of orientating myself in a new city, the hop on hop off bus tour. These tours are worth spending the extra money if you can’t handle all the walking like me. In the main I find them informative and it certainly saves your legs and a lot of time particularly in a city like Berlin which is so spread out. Possibly because of the wall and the various regions there are interesting places to experience all over this vast city. My young Indian dorm mate decided to join me on the first day, it was nice to have the company and to discuss points of interest. Also it is always useful to have someone else to take photos of you. Every now and again we would part ways when one or the other wanted to hop off and then we would come across each other again on another bus. You learn a lot on the buses (mostly true, but be aware that some of the guides in some cities just make stuff up for entertainment value). I learned that the previous East Berlin has trams and the previous West Berlin mostly doesn’t have trams, it has trains. 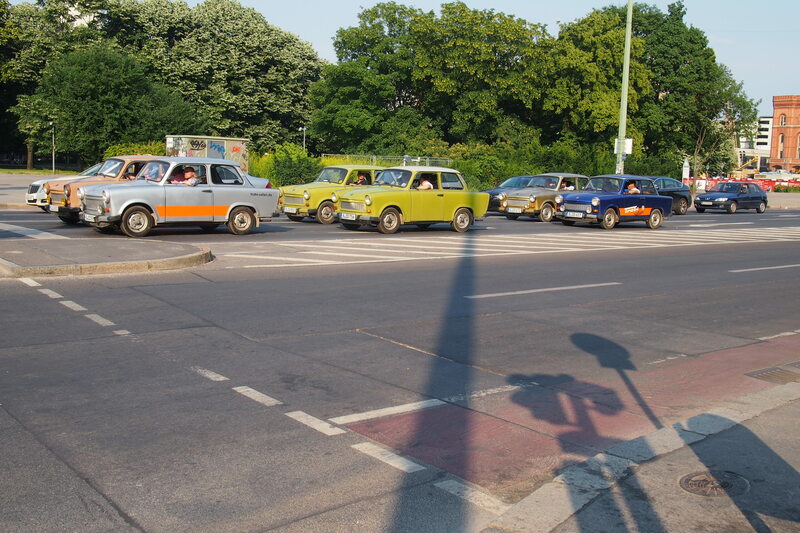 so it’s reasonably easy to know which part of old Berlin you are in. There was an important mission that first morning. I was determined to find a particular café, one that a friend back home had mentioned as being an important memory. To find it we needed to get off at the Brandenburg Gate and walk past the Jewish memorial to No 1 Eberstrasse, corner of Lennestrasse. 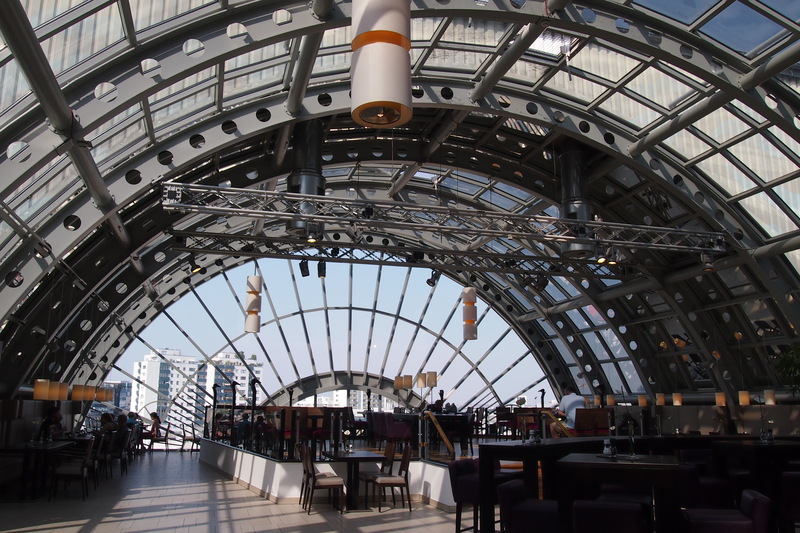 The name of the café was different to the one my friend had given me, it had changed to Lebensart since his time there. One thing I have discovered about that particular café since, and unfortunately didn’t notice at the time as we sat outside, is that if the Berlin wall were still there it would run right through the middle of the café. So apparently the café is in two different colours signifying the two sides of the wall. This little deed planted the seed of what I think I was missing and that is an emotional connection to Berlin. 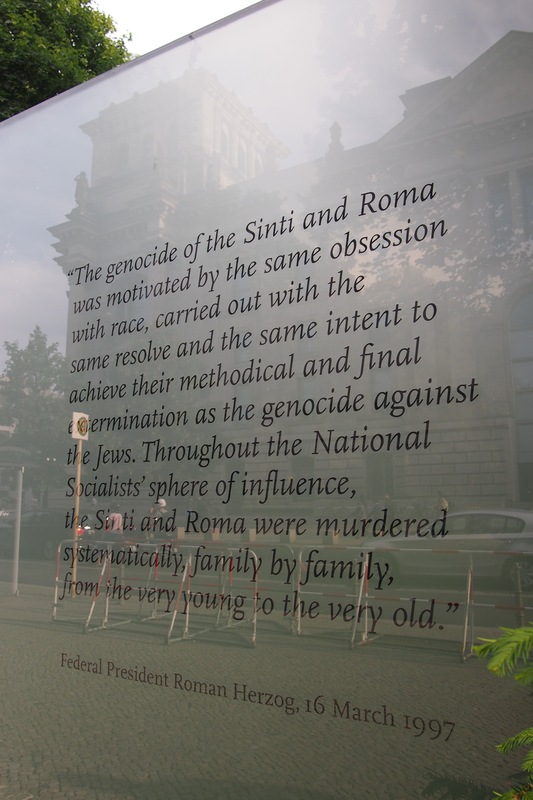 Unlike Dresden, Split and Belgrade and Slovenia I had no family stories to connect to. Starting to see the city through the eyes of another helped to begin building a connection. 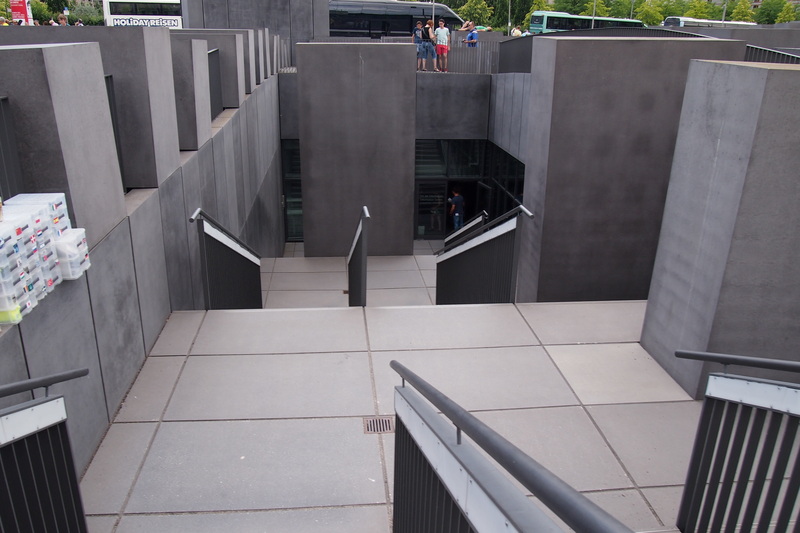 On the way back to the bus stop we took the opportunity to take photos at the Jewish Memorial. It is so large that it would have been impossible to get a decent selfie. More on that memorial later. Outside Lebensart Cafe #1 Ebertstrasse. If you look carefully, next to my left elbow there are some bricks inlaid into the paving, that’s where the wall would have been, continuing on through the middle of what is now the cafe. 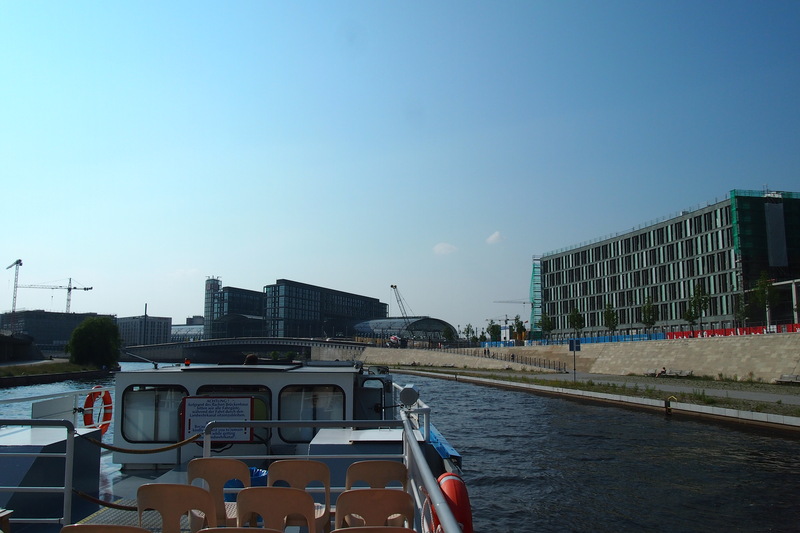 It was the afternoon when we got off the bus with the intention of going into the Reichstag building . We stood in line for about half an hour to get the free tickets and chatted to other tourists, only to find out, as we got to the front, that you had to have your passport with you (this reminded me of my time in Milan in 2006 when, having found the San Siro stadium and stood in line I discovered I needed my passport to buy tickets to the game). Neither of us had our passports so we didn’t get tickets. I never did get back to the Reichstag. I usually don’t carry my passport with me but unfortunately there is the odd place where it’s needed, perhaps better research would help. So remember to take your passport if you want to get inside the Reichstag. Instead I wandered off exploring the Tiergarten. I came across the Soviet memorial, a massive structure obviously enjoyed by young skateboarders, the sad memorial to the Sinti and Roma people who also went through a holocaust during the war and the unofficial memorial to those who died trying to escape over the Berlin wall near the Brandenburg Gate. I hope it is still there as apparently the Council wanted it removed. Th unofficial memorial to those who died trying to escape over the wall. 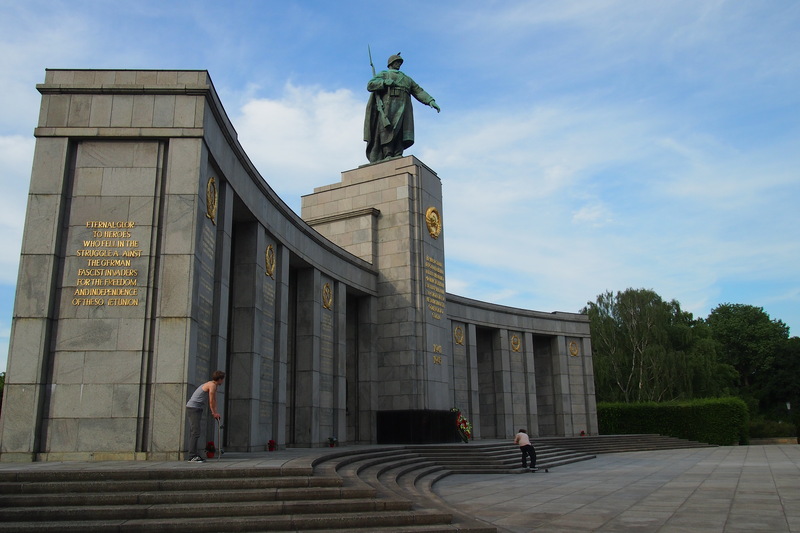 Soviet memorial in the Tiergarten. The skateboarders enjoy those steps. Day 2 of the hop on hop off dawned and although I think I averaged about 2 hours sleep I had to get stuck into it and get all the ‘hopping off’ done. Have I mentioned how huge Berlin is and how much there is to experience? I was on my own this time. First stop the Victory column with its crowning glory of a golden statue of Victoria. 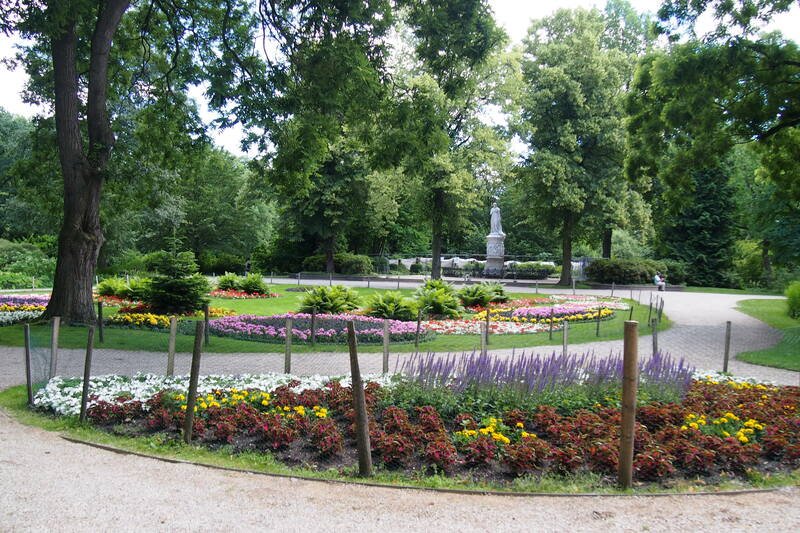 It is located at the Großer Stern (Great Star), a large intersection of roads within the Tiergarten. You access the column via underground tunnels and for those who want to you can climb up internal stairs to the top, must be an awesome view from up there. Opposite is the Café Viktoria so breakfast was in order. It was so pleasant chatting to the sparrows who joined me and polished off my crumbs. 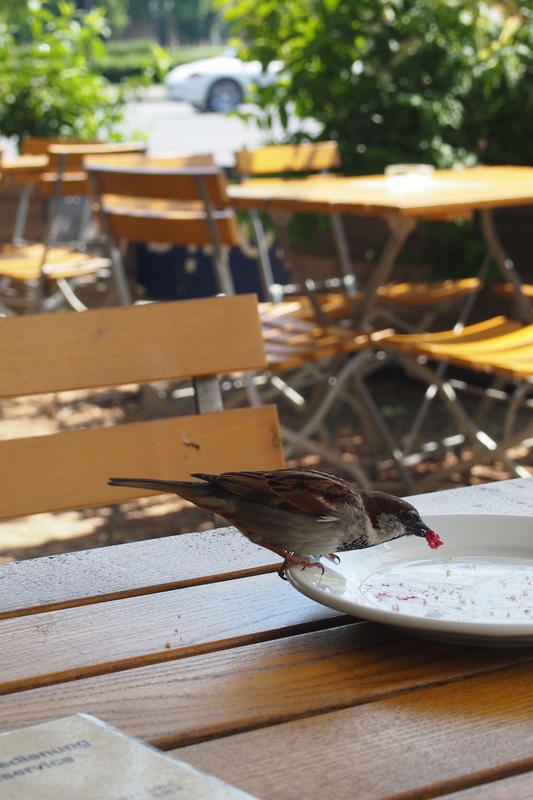 What a way to start a day, German breakfast, visiting sparrows, the amazing column and surrounded by the spectacular Tiergarten, I wondered what everyone else was doing at that moment. Friendly little sparrows had breakfast with me, what a delight. 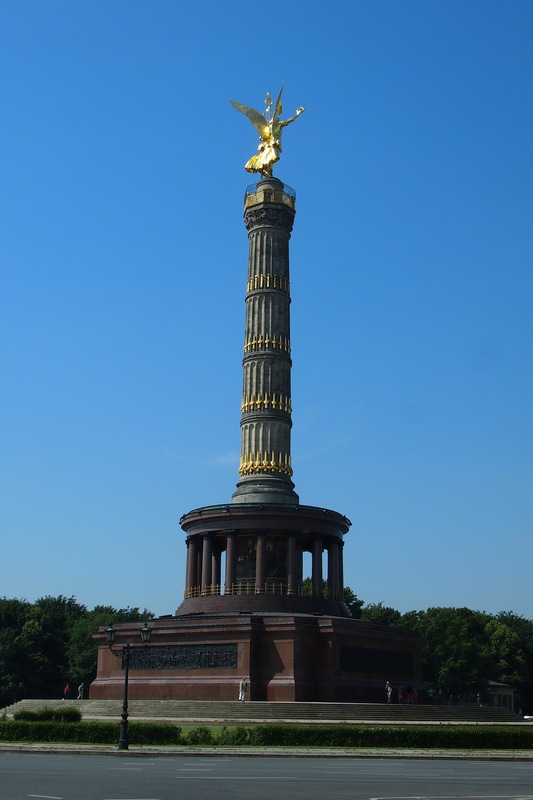 The Victory Column at the Grosse Stern intersection. Part of the Charlottenburg palace. 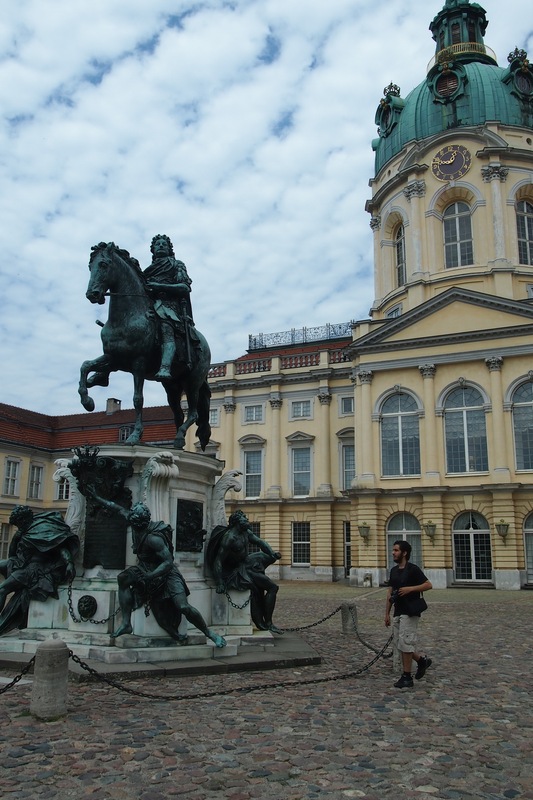 Next, Charlottenburg where the largest existing palace in Berlin is found. I chose not to enter the palace as there was so much more walking to be done in other places and my time was limited if I wanted to do all the planned ‘hopping off’. Instead I roamed the street of antique shops in Charlottenburg and discovered a few other interesting places, like the Russian supermarket with endless varieties of Vodka and the book store, on my way to the next bus stop. You could tell it was a very hot Summer’s day,the dogs were fast asleep at the front of shops. Back on the bus and off to the East gallery and Checkpoint Charlie. The East Side Gallery (a 1.3 km long section of the Berlin Wall) is where artists were invited to depict their thoughts and feelings. 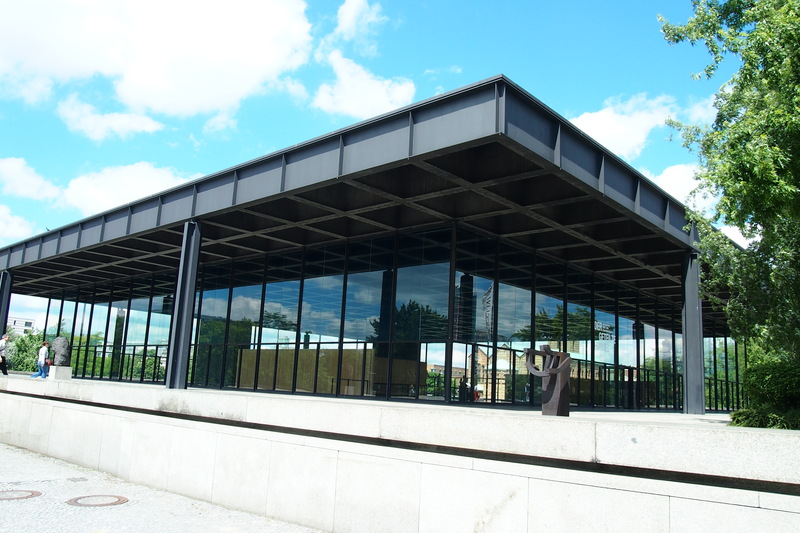 It is an international memorial for freedom. 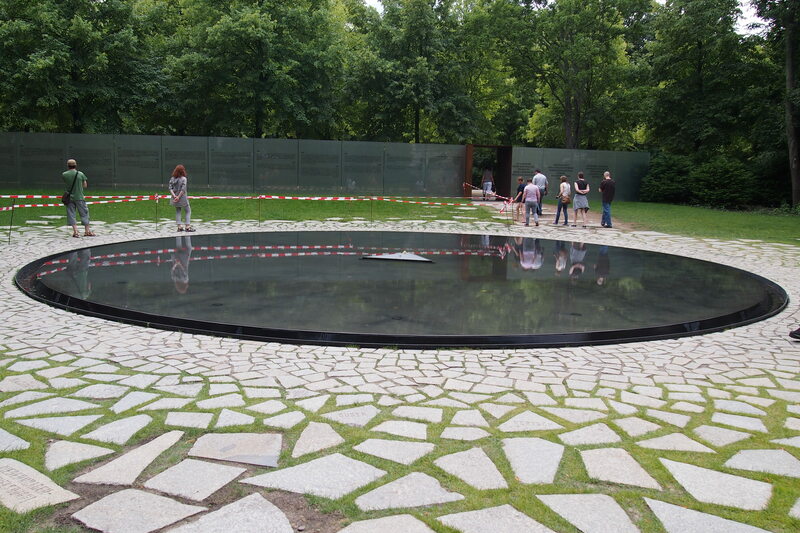 It really is a must to visit and spend some time contemplating the artworks. 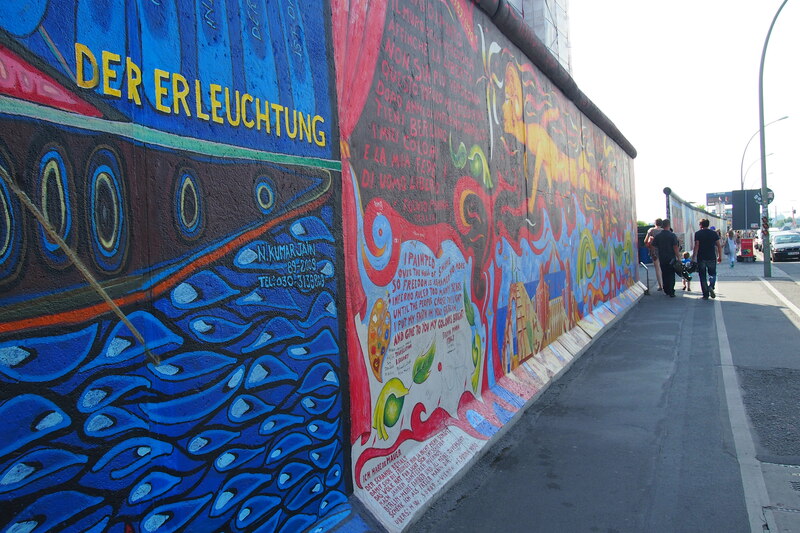 I only saw a small section of it with the various artistic expressions of feelings about Berlin, the wall and freedom. In a way the painted areas didn’t have as deep an effect on me as the much shorter unpainted section I saw from the bus. Stark, blackened with time and threatening, exuding a feeling of depression. 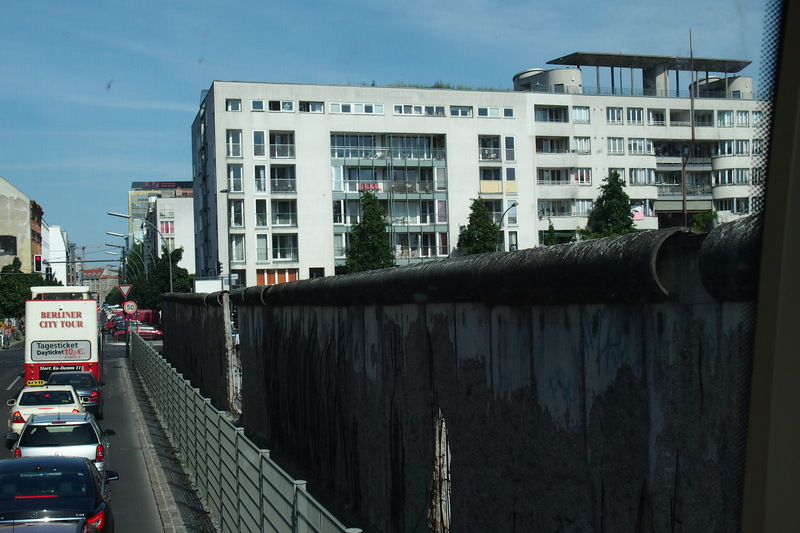 I could not imagine having to live behind that wall and seeing it on a daily basis. 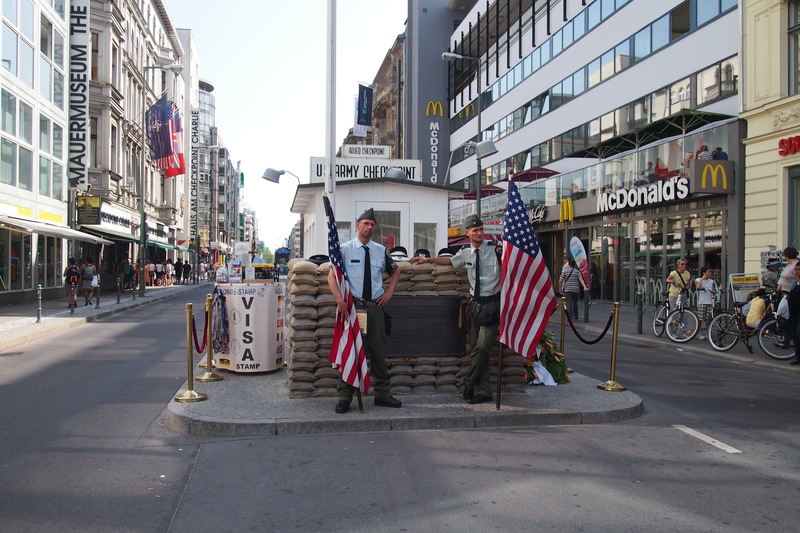 On the bus we were told that the real Checkpoint Charlie is now in a museum and that the tourist attraction is a replica and of course if you want a photo with the ‘guards’ there is a fee. Still, it is interesting to stop and look and read. 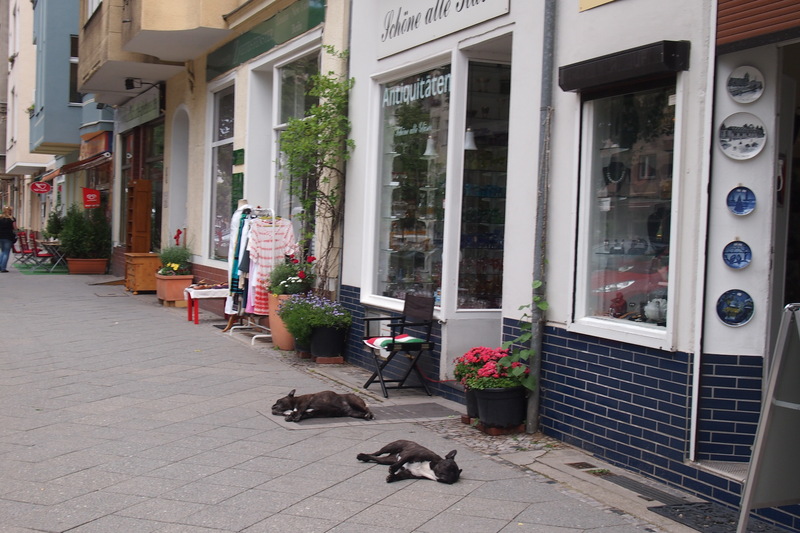 The dogs were feeling the heat , Charlottenburg antiques street. A section of the wall as it was. On Wednesday 19 June 2013 President Obama was in town so I headed off in the opposite direction to the crowds (the security was massive around the Brandenburg Gate where he was to speak, I could see it building over the previous 2 days) and I don’t like large crowds. 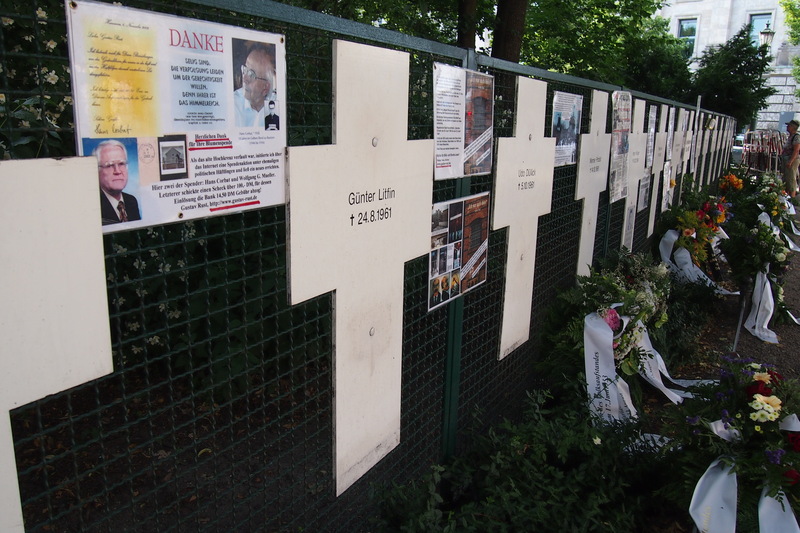 There were also armoured police vehicles, other police vehicles and street barricades along Potsdamer Platz, so possibly he would be there too. I was tired from lack of sleep and the cough that had attacked me so I thought I’d do as little as possible. I decided on Cafe Chagall for lunch in Prenzlauer Berg. This place originally started as a Russian cafe 20 years ago and has kept some of the original menu items – yum yum, good food, terrific Bohemian atmosphere and such friendly staff. Next time I’m going to go at night. Part of the interior of Cafe Chagall. 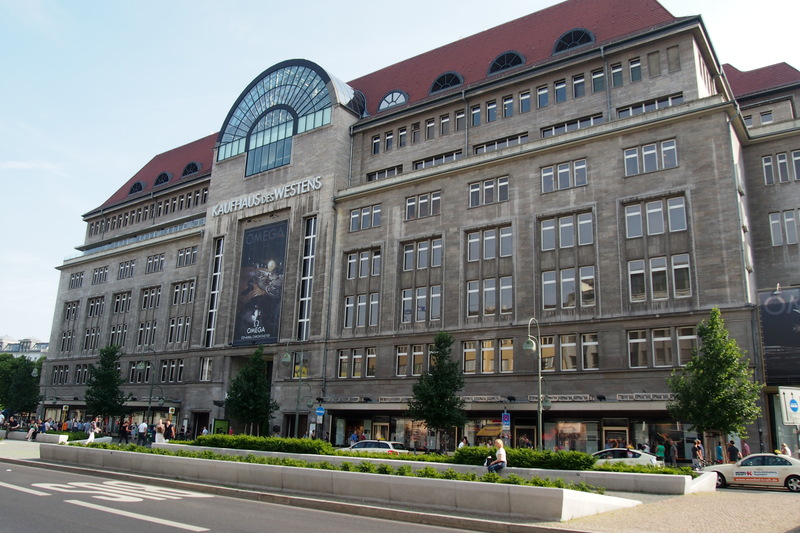 Next item on the to do list was KaDeWe (Kaufhaus des Westens). Now, one thing I hate (other than massive crowds) is shopping! And spending my holidays window shopping is one of my greatest pet hates, but even I just had to go and check out what all the hype was about. 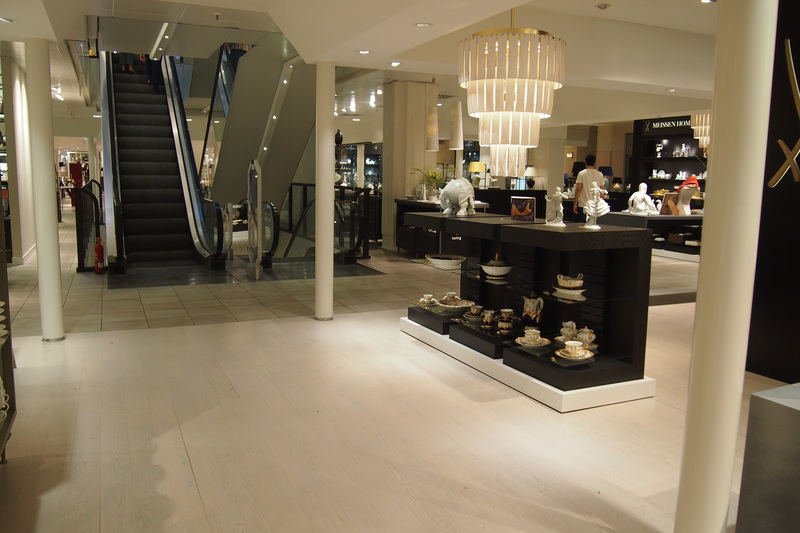 Apparently it is the second largest department store in Europe, beaten only by Harrods. None of the clothes grabbed my attention but the shoes! And the food on the top level! Then the porcelain and stuffed animals wow! There was a very cool modern coffee set I was tempted by, but no, you can’t carry crockery around the world and sending it home was out of the budget. Yes, KaDeWe deserves the hype, all seven storeys of it. 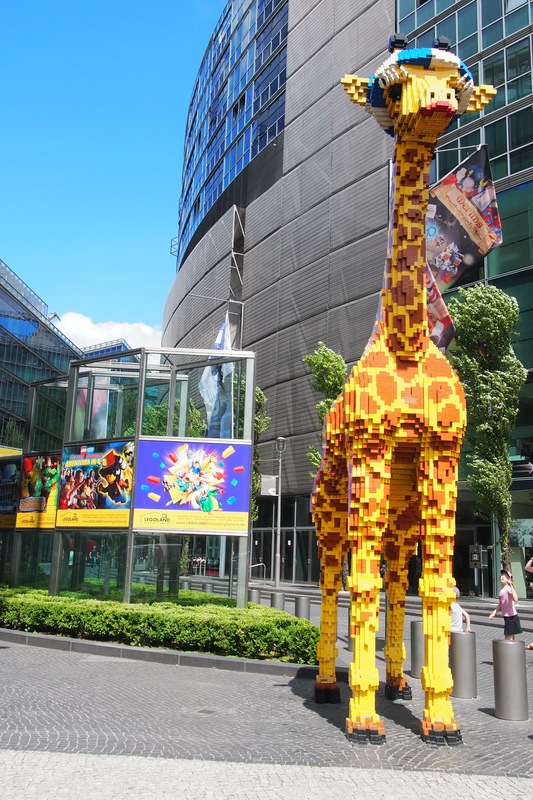 The Sony building close by is a spectacular piece of architecture worth visiting and the giraffe out the front of the Lego building caught my eye too. So, I had been been pondering on Berlin. Apart from extending my stay and realising how much more I still needed to do, see and experience I came up with a realisation. I think this city needs to be shared especially if it is a first visit. I mentioned this thought to my young dorm mate and he too had come to the same conclusion, that to fully experience Berlin it would be best to share it with someone you care about or at least with someone who really loves Berlin. Why? I don’t know, it’s one of those feeling things, but this was the first time I had felt that in any place. Interesting how different places have a different affect. Well what a journey I was taken on thanks to that list from my friend. 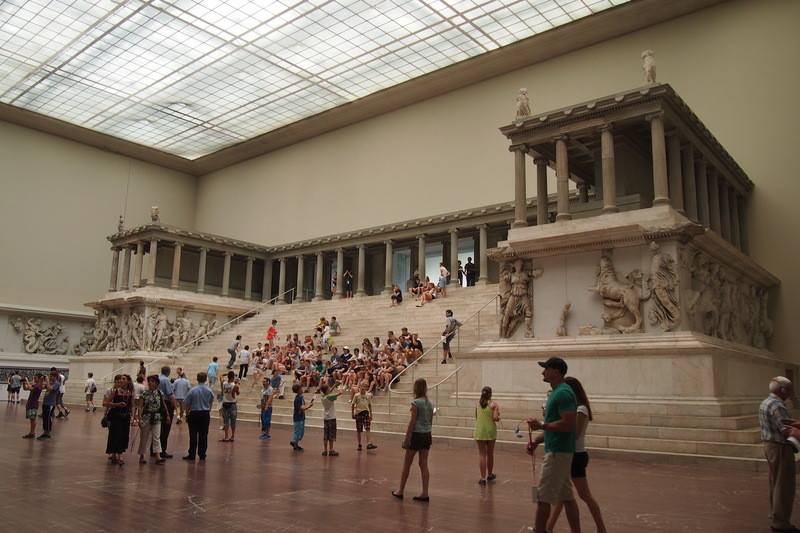 Thursday it was off to the Pergamon Museum on Museum Island. I purposely didn’t research, I wanted to see why this was on the list, Well! Did I have an education, I’ve always known I should have listened more in ancient history classes and every time I go to things like this I wish I had followed through on my interest in archaeology. Anyway, I was not expecting the jaw-dropping vision I saw upon entering the museum. 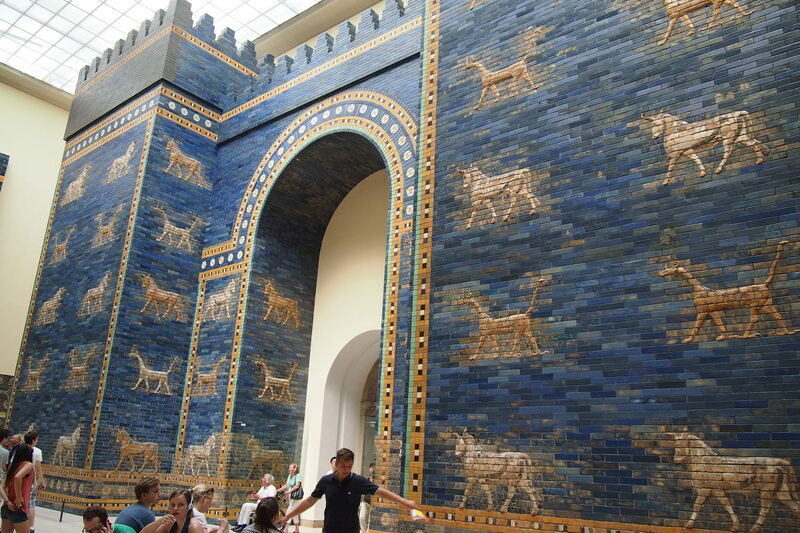 I was greeted by a complete replica of the altar of Pergamon, then the gates of Ishtar followed by Uruk. 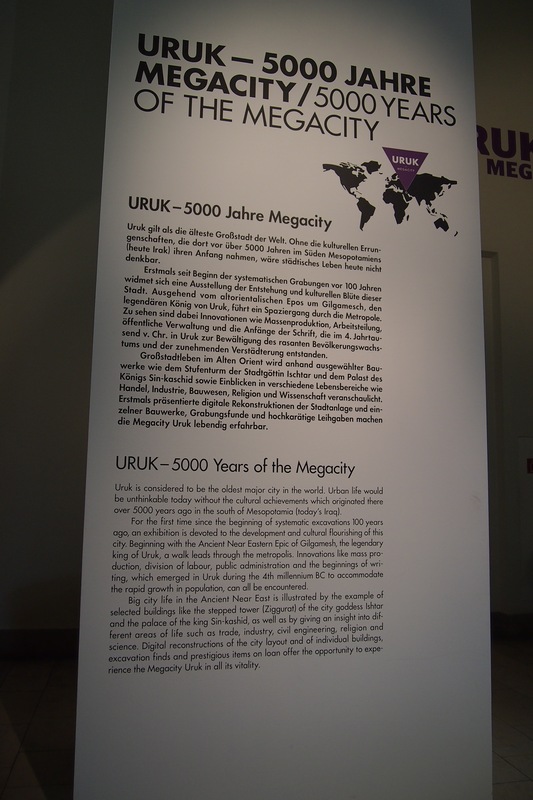 Who knew there was such an advanced civilisation called Uruk 5000 years ago? Not me! Indescribably stunning stuff. The photos don’t do the displays justice. Sadly there were no Egyptians anywhere in sight, they appear to have moved to another museum. I definitely understood why this museum was on the list and sent a silent thank you through the air. 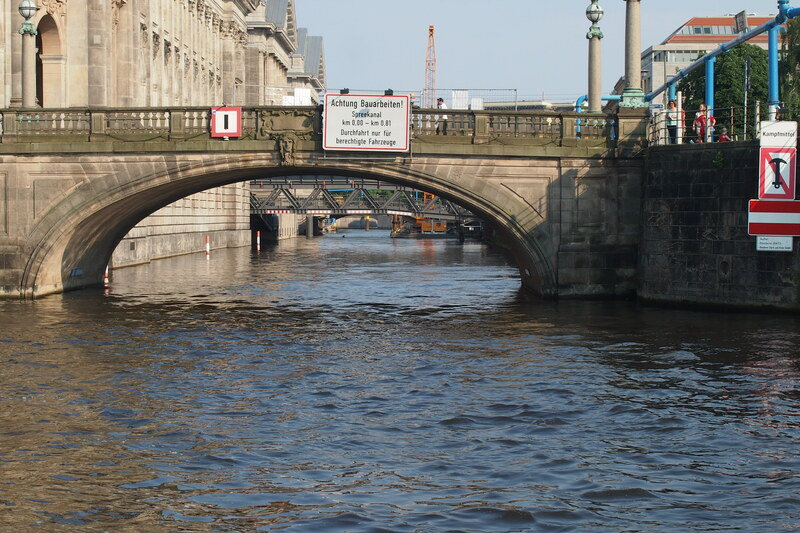 Before walking home to give my feet and back a rest I took the one hour boat trip on the river Spree, which was included in the bus tour ticket. 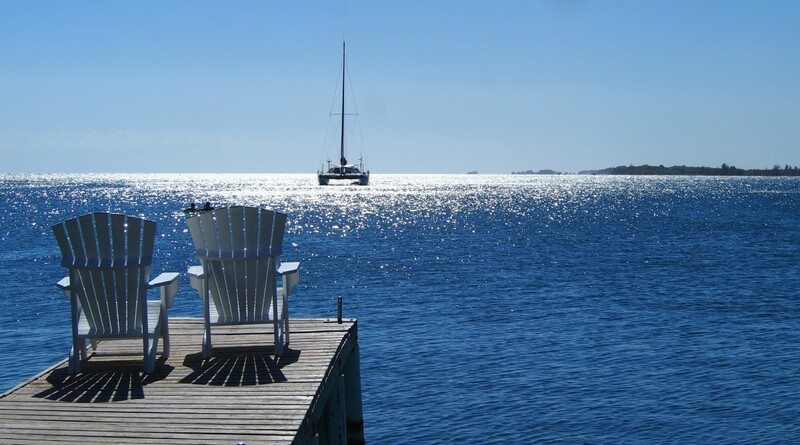 it was so pleasant enjoying the warmth of the Summer sun while gliding past both old and new buildings on the waters edge. 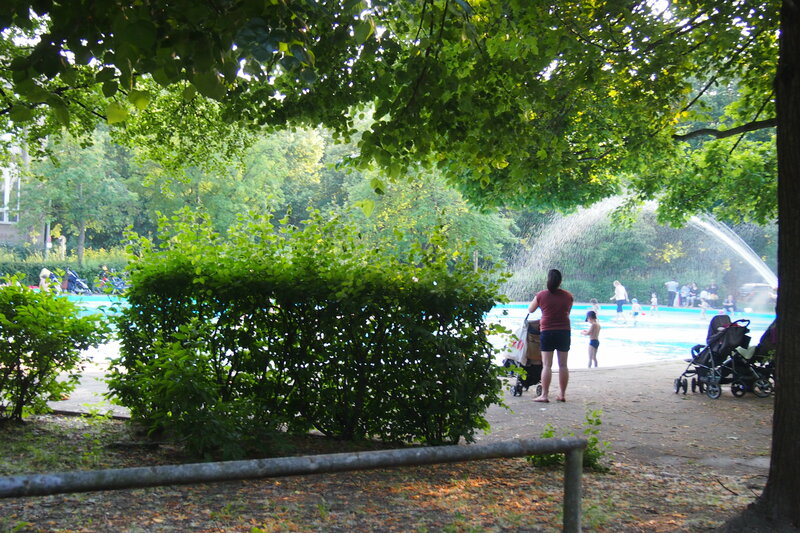 Wading pool not far from my hostel. On the walk home I came across all sorts of things, shops with massive stuffed animals (bears featured a lot), bridges, Trabi tours, a pop-up shop grand opening, fountains and the paddling pool which was fully operational that day. What an exhilarating day that was, Berlin was starting to get me. My Friday morning thought was ‘I will find something easy to do today’ Ha! Did I forget I was in Berlin and wherever you go will end up requiring some mega walking? Especially for me who gets distracted easily and before I know it I’ve gone off my planned track? And so Friday started with ‘I’ll just go out to Roststatte a cafe in Ackerstrasse Mitte recommended for coffee and then perhaps the Gallery of Modern Art, opposite directions but the U-Bahn will get me there.’ That would have been fine if I’d stuck to the plan! However, I got to the art gallery and wasn’t even keen on the building (OK, so I’m probably a Philistine, but really it did remind me of a disused petrol station). I decided I wouldn’t risk not being keen on the art as well, which appeared to be down at least one flight of stairs. 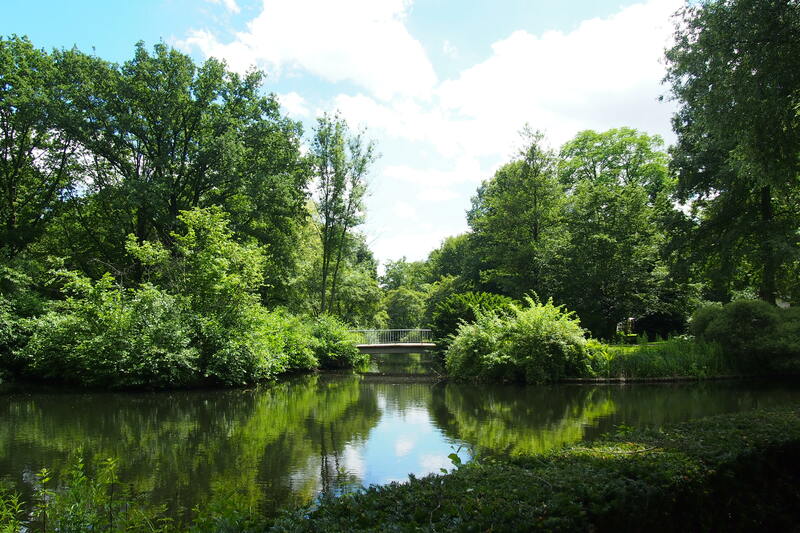 I thought some quiet time in the Tiergarten would be nice, and it was, and it required walking and walking and walking to get there! Then lots more walking through the gardens to get back to the Brandenburg Gate. After the Stones I discovered that I was across the road from the cafe on Ebertstrasse so it was back to #1 and thinking of friends. 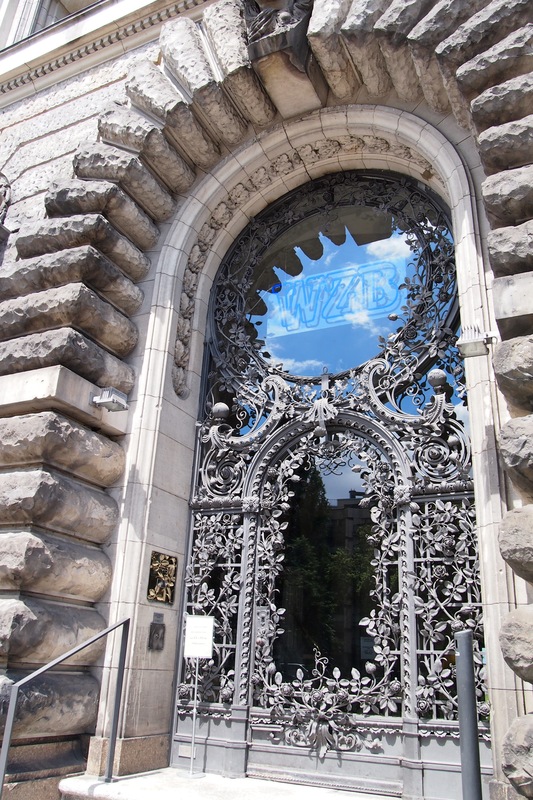 A beautiful door, more my style of architecture. 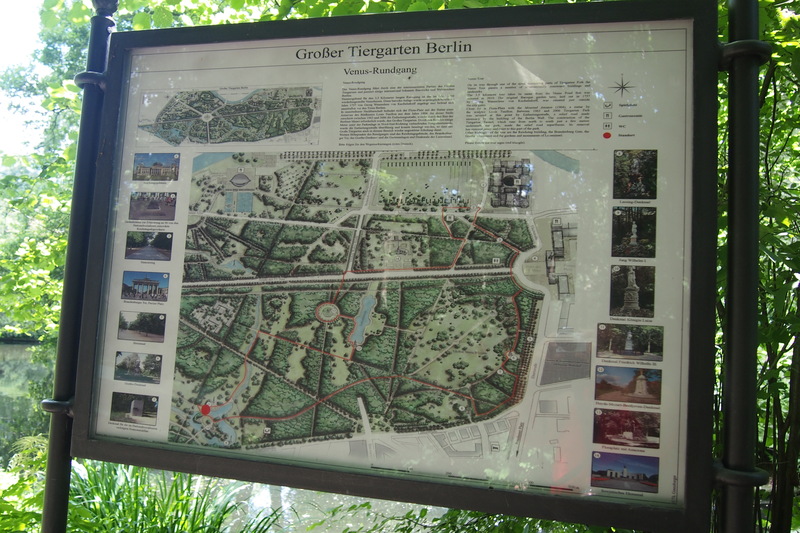 The map that gives you an idea of how big the Tiergarten really is. 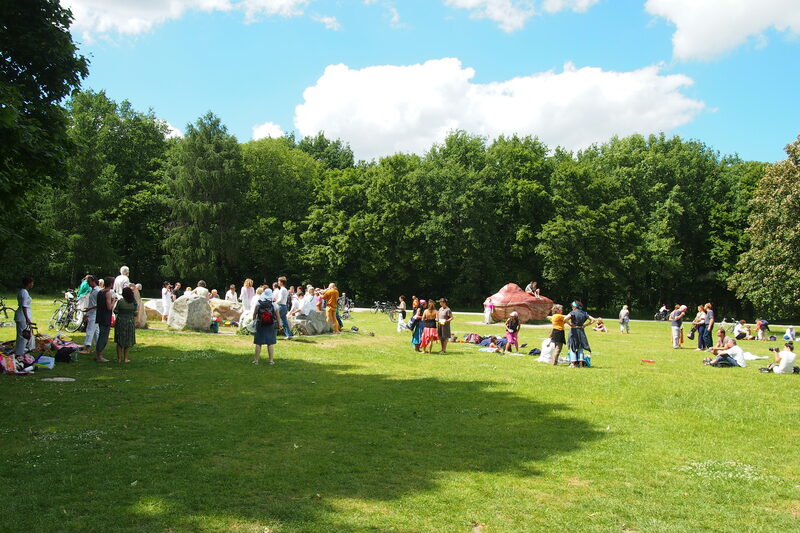 The Global Stone Project in the Tiergarten. 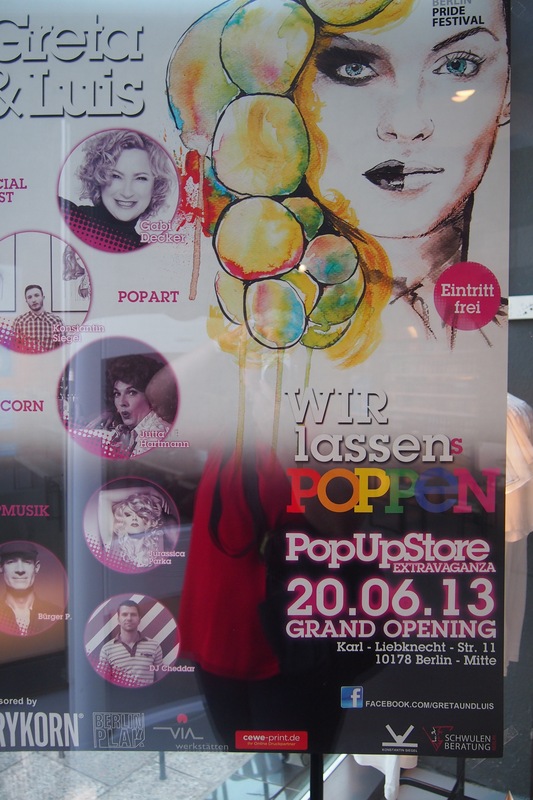 The next day I found myself going to Potsdam. There is too much to say about Potsdam and so I will leave it for it’s own story in the next episode. 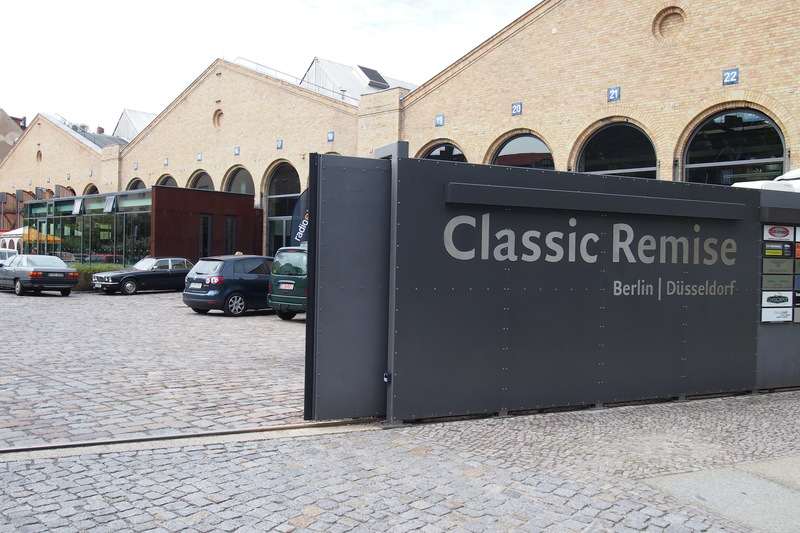 My last full day in Berlin arrived on Sunday 23rd. The plan was to go back to Potsdam, however, on waking up I really didn’t feel up to it. Instead I decided that perhaps a quiet day in the Tiergarten and revisiting the stones would be a better idea. 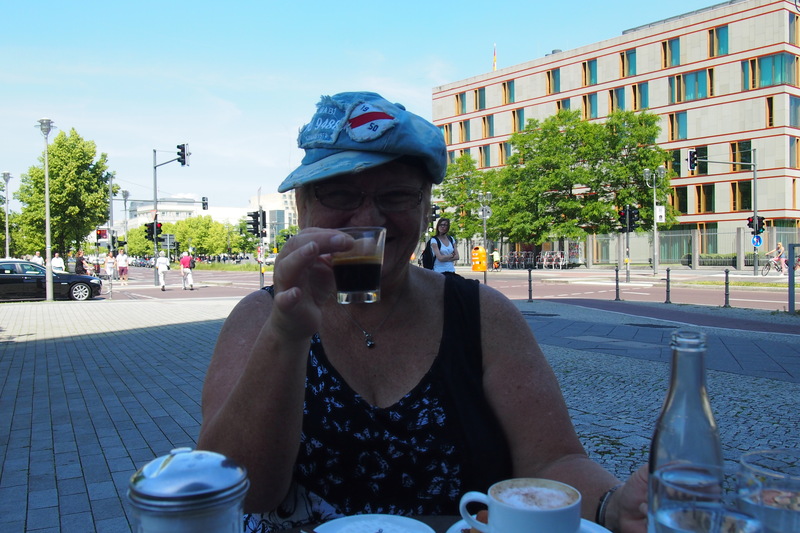 First, coffee on Unter Den Linden. Having fortified myself I decided that this was the day to check the information centre to the Holocaust memorial on my way to the Stone Project. The museum is underneath the “Field of Stelae”, the above ground area containing over 2,500 geometrically arranged concrete pillars, which I’d visited on my first day. The pillars are all at different levels and so are the paved paths in between. Walking through this area where some of the blocks were higher than my head and others lower, gave me a feeling I cannot describe adequately. In the underground museum, all the emotions rose up. As I read some of the names of victims and their last letters and notes tears welled. The notes were scribbled on whatever materials the prisoners could find once they realised what was happening. It was just so overwhelming that I couldn’t stay there for very long. Notes from children to parents, parents to children and so on, many of these are embedded in the floor under glass, a very moving experience and I just had to get out of there before I completely broke down. 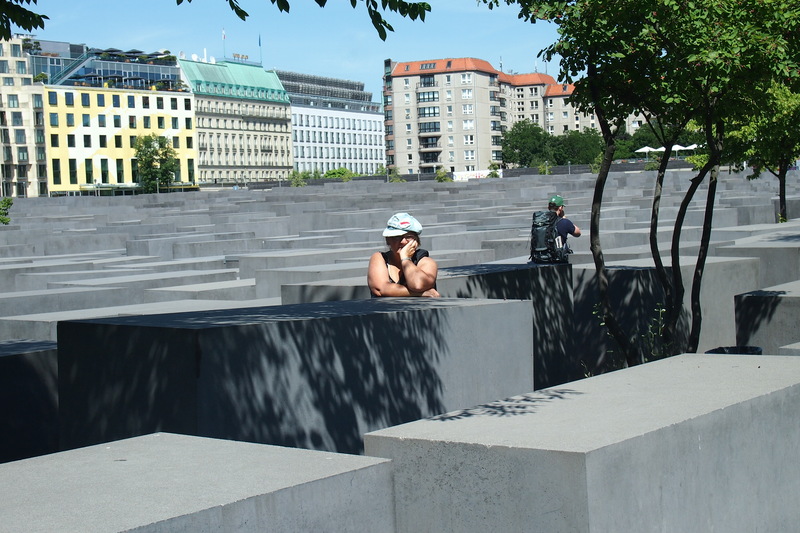 The Field of Stelae, the above ground part of the Holocaust memorial. The exit stairs from the underground museum. So off to the Tiergarten to clear the emotions, well that didn’t quite go to plan. I was so disappointed in the condition of that beautiful area. I’m not sure who were the offenders, there had been a concert on the Friday night and the Gay Pride gathering on the Saturday. Mountains of rubbish everywhere especially close to the park benches. So sad. I wish that people gathering in big mobs would respect their surroundings and leave the beautiful parks and gardens as beautiful and neat as they found them so others can enjoy the area too – take your rubbish home people. Rather sad that this should be my last image of the gardens. And so it was back to my hostel to pack and rest before moving on the next day. It is only now as I compose this blog and go through each photo I am starting to put together my impressions and feelings. I wasn’t ‘grabbed’ by Berlin immediately as I was by some other places nor do I think I left my heart there, as I did in other places, but I do want to go back. 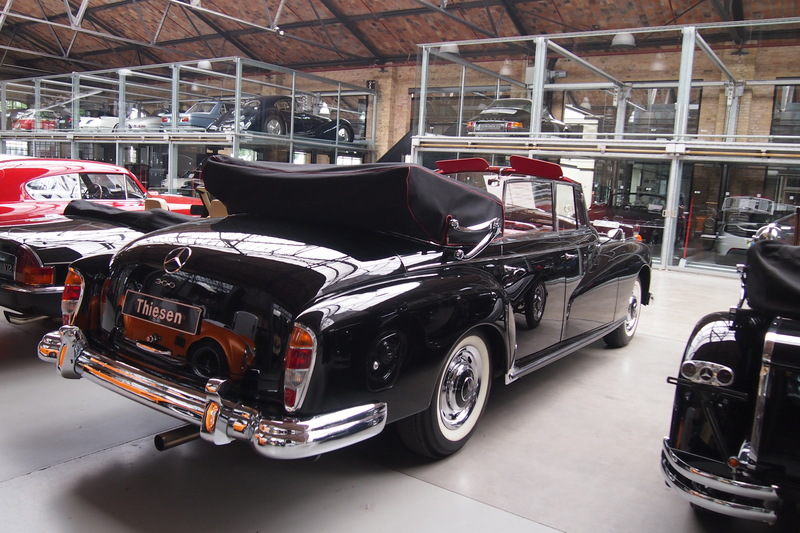 I think I am more enthralled than ‘in love’ after my first visit and that fascination draws me to want to see and feel Berlin with eyes and heart that have been there and need to go again to find more understanding. So, what is it that epitomises Berlin for me? I don’t think that I can bring it down to just one thing, the suburban wading pool, bears, the guy in a wedding dress in Alexanderplatz, the incredible antiquities at the Pergamon, the food and coffee culture, fashion, history, spies, palaces, architecture and so much more all mesh together in this enigmatic city of contrasts called Berlin which draws you to itself with mysterious, inexplicable energy. Until we meet again, Berlin, farewell. The controversial Barbie House, so Berlin.